Have you ever spent hours to look for a chemical in your lab, haven't found it and had to order it from the vendor just to find out later that it was there? Though the situation described above may seem as a minor incident, in fact, it has deep consequences. Undesired delays in experiments schedule, double-orders which negatively reflect on lab's budget and we're just scratching the problem surface! 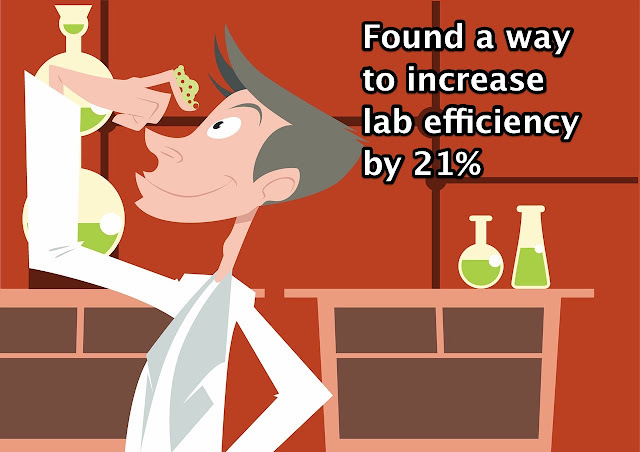 Fortunately, having thoroughly studied 120 labs, we found the differentiator that will bring your lab to the new level. The frustrating part of conducting a research is being distracted all the time. The least wanted distraction is a waste of long hours to look for a required reagent, while it's actually there. Ooof!!!! Recently, we decided to perform a statistical analysis of 120 labs to determine the reason and later the solution for FALSE NEGATIVE results. Or in other words, when "Inventory Item Not Found" message is actually not true and later the solution for that. What kind of LabSuit usage patterns drive the least of 'Inventory Item Not Found' messages? 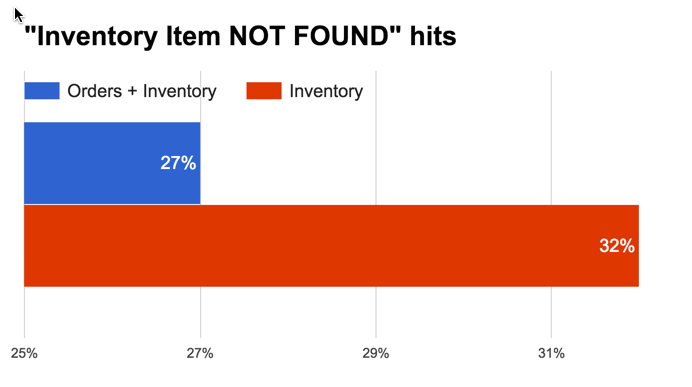 Our analysis shows that labs using a combination of Inventory + Orders Management receive the 'Inventory Item not found' 27% of the time, while labs using only Inventory Management get this message at 32% rate, e.g. almost every 3rd search returns "Item Not Found". Actually, these numbers support our intuition, because when new reagents that arrive into got properly cataloged, they are easily tracked and found by all lab members. In addition, checking-in new items can be done semi-automatically with the help of "MARK-AS-RECEIVED" feature. We covered it in another blog-post some time ago. The big take-away from this analysis is that just by adding Orders Management to lab's set of daily tools, the lab would be improving by 21%, thus eliminating false positive results, e.g. when a chemical is in the lab, the LabSuit will tell about that!